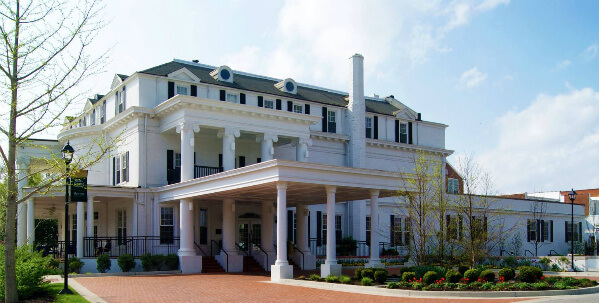 Recently, I was reminded of Boone Tavern Hotel in Berea, one of my favorite Kentucky lodging and dining establishments, while doing research for a magazine article on festivals in Kentucky. Berea is in the heart of Kentucky’s arts and craft wealth, and Boone Tavern Hotel is in the heart of Berea. Built in 1909 by Berea College, the hotel and restaurant sits on the corner of Main and Prospect Streets as a majestic witness to history, service and a rich tradition of Kentucky craftsmanship. Still operated by Berea College, both the hotel and restaurant are a testament to how to pair mindfulness with excellence. The hotel was the first hotel in Kentucky to receive LEED Gold status for its eco-friendly building features and its sustainability practices. Also, the restaurant is dedicated to using local ingredients and Kentucky proud products whenever possible. The college was first opened to offer affordable, quality education without racial or economic discrimination. This tradition remains–all students receive free tuition. Students also have part-time jobs and working at the hotel and restaurant are employment options. Although most students are from Kentucky, the international student program is quite robust. On one of my visits, as I ordered dinner, I noticed a familiar lilt in the accent of my waiter. Both of us had a surprise when I found out he was from a village in The Gambia, West Africa about 20 miles from where I served in the Peace Corps. He didn’t expect his customer to start speaking to him in Wolof. When looking forward to a meal that included Boone Tavern’s signature “Spoonbread,” I hadn’t expected an opportunity to brush up on my language skills. The spoonbread, a cornbread soufflé, was splendid as was another Boone Tavern favorite, “Chicken Flakes in a Bird’s Nest.” The nest part is made from shredded potatoes and creamed chicken–just the right amount of crunch. Like the restaurant, the hotel has several Berea College touches. 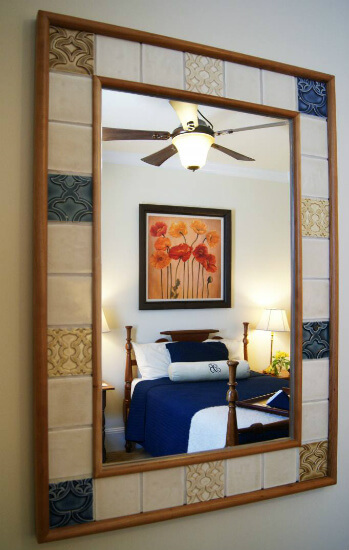 For example, some of the hand-crafted wooden furniture and room accessories like the mirrors are made by Berea College students. To see the abundance of Kentucky’s artistry and craftsmanship, take time to browse Boone Tavern’s gift shop as well as the shops in Berea’s downtown where Boone Tavern is located. If you come in July during the two weeks of the Festival of Learnshops, you can take in art, music, and writing classes where professional artists, musicians and writers share techniques of their craft. These classes are make and take. Festival of Learnshop classes typically run three hours. 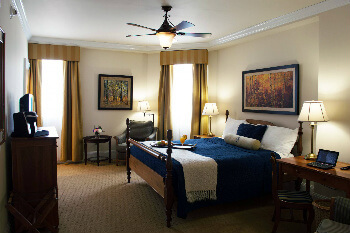 During the festival, Boone Tavern has a lodging deal which makes pairing your muse with a great night sleep affordable. Some rooms start as low as $50. Rooms range from one full bed to an executive suite. Currently a double room is $99.50 with AAA or AARP. A king room is $120. The rack rate is $168.00. There is a spring rate discount as well. Check prices online at Priceline or Hotels.com. * If you do plan to eat at the restaurant, call for reservations. Dress is tastefully casual.